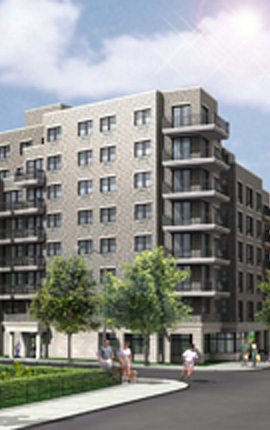 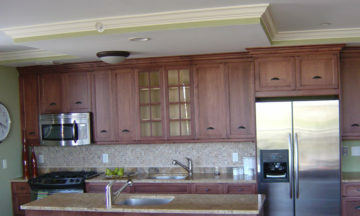 This grand beachfront project consists of 42 luxury units. 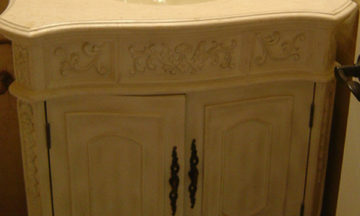 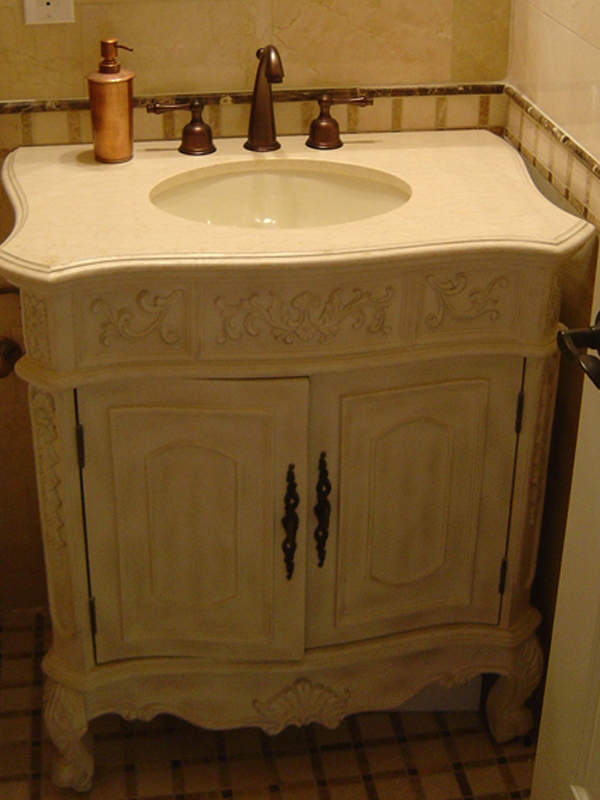 The kitchens and vanities we created for this complex are traditional and romantic. 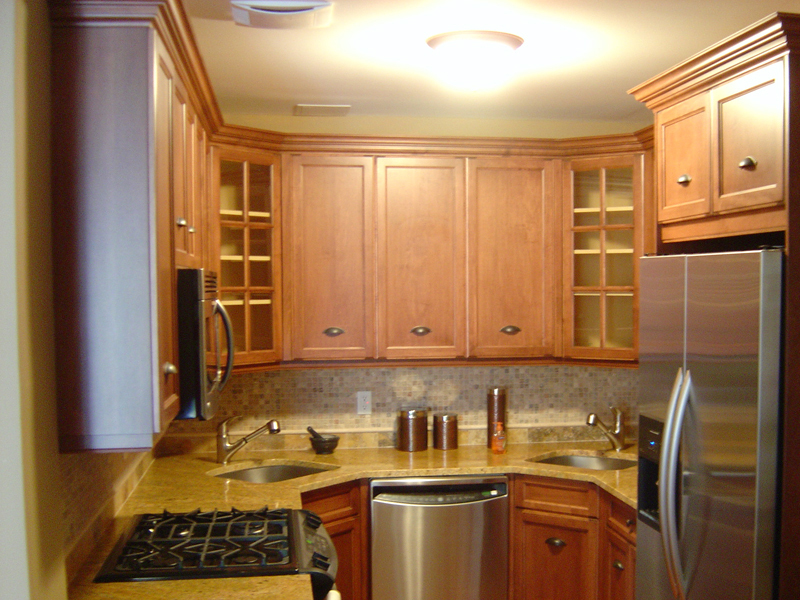 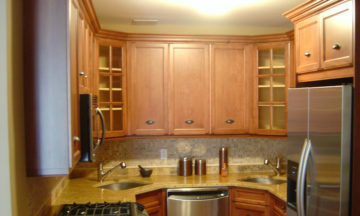 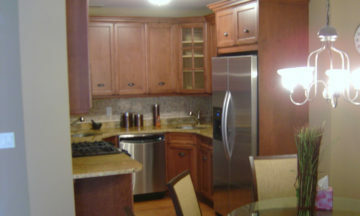 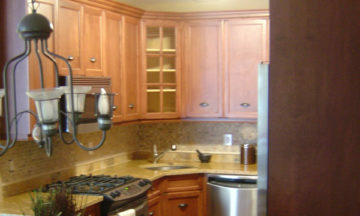 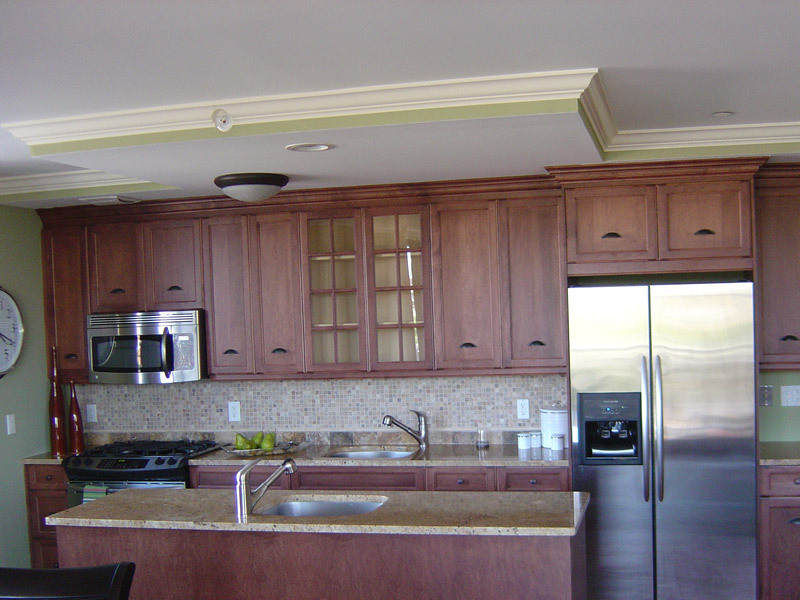 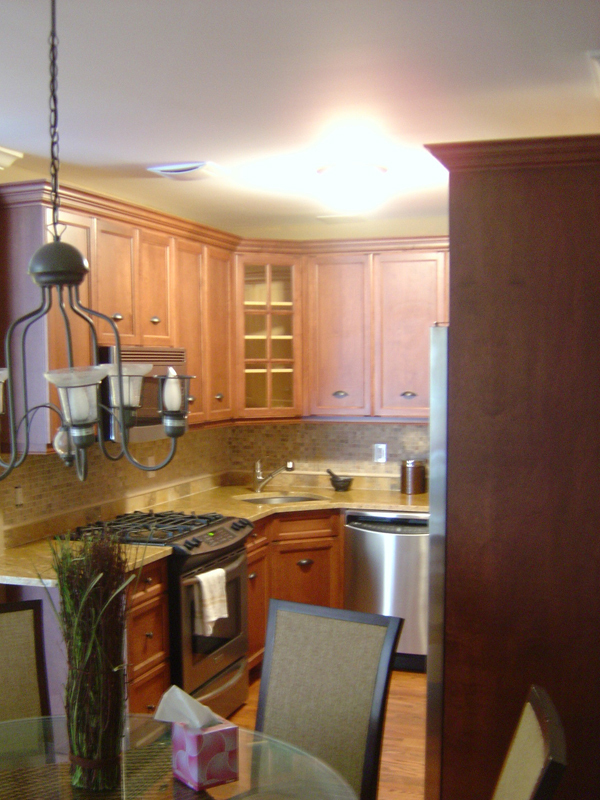 They feature maple cabinets with lavish crown mouldings and mullion glass doors. 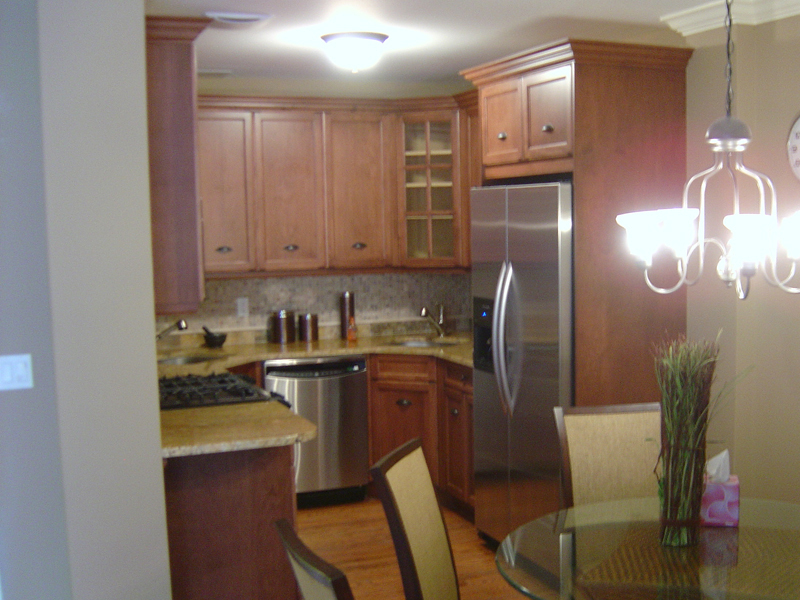 Opulent granite countertops and warm stainless steel appliances make it all come together beautifully.